VATICAN CITY (CNS) — A Catholic approach to development aims at helping people achieve both physical and spiritual well-being and promotes both individual responsibility and community ties, Pope Francis said. 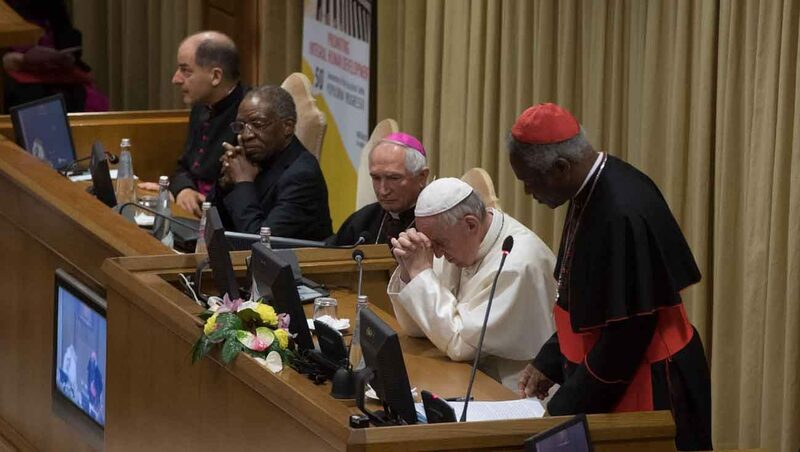 Holistic or integral development, Pope Francis said, involves “integrating” all people into one human family, integrating individuals into communities, integrating the individual and communal dimensions of life and integrating body and soul. “The duty of solidarity obliges us to seek proper ways of sharing so that there is no longer that dramatic inequality between those who have too much and those who have nothing, between those who discard and those who are discarded,” he said. One of the major challenges to integral development today, he said, is the tendency to focus either exclusively on the value of the individual or to ignore that value completely. “On the other hand,” the pope said, “there is no lack of ideological visions and political powers who have squashed the person,” or treat people as a mass without individual dignity. The modern global economic system tends to do the same, he said. Because human beings are both body and soul, working for their well-being must include respecting their faith and helping it grow. The Catholic Church’s approach to development is modeled on Jesus’ approach to human flourishing, an approach that included spiritual and physical healing, liberating and reconciling people, the pope said.